Omerta will be released on May 4, 2018. Helmed by Hansal Mehta and bankrolled by Shailesh R Singh, Nahid Khan, Omerta’ is a biographical crime drama, which is shot in real locations across London and India. It is woven around some of the most bloody terror attacks, including the 9/11 attack and the beheading of journalist Daniel Pearl. 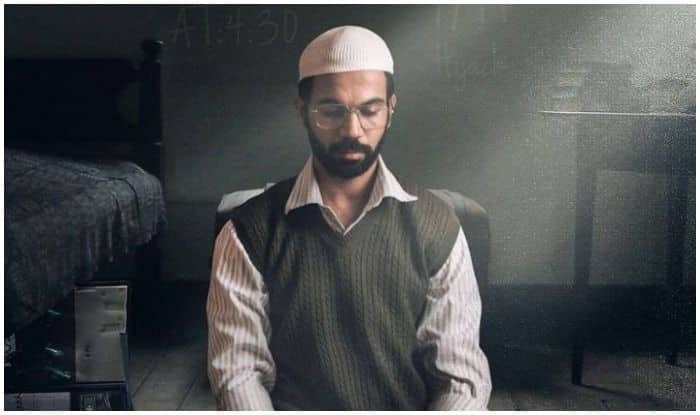 Rajkummar Rao, who has impressed the audience and critics with several stellar performances over the past few years, plays a British born terrorist in his upcoming film ‘Omerta‘, which is based on terrorist Omar Saeed Sheikhs life. Omerta is one the most intense movies in the National award winning actor’s career so far. With Omerta releasing on May 4, here’s what the critics have to say about the film. News 18: The film runs in no chronological manner jumping from one-time frame to another while covering the acts and routes of Saeed, and this absence of continuity gives it a distinct flavor. However, in order to not glorify or humanise Saeed, the film refrains from dwelling on his life and this becomes its drawback. There is little to no insight about the motivations behind a smart UK citizen turning into a terrorist in the name of jihad. Mehta, who is known for bringing out unnerving, vulnerable human emotions hasn’t taken his signature route this time and it does feel disappointing. Filmfare: Here, Hansal has just made a thriller. We don’t get to know who Omar is. What’s his mindset. What made him turn towards radical Islam. What made him give up the Western trappings and ultimately become the brutal maniac that beheaded Pearl? These questions remain unanswered. Watching the film is like reading a newspaper report on the terrorist. It gives you a huge lot of facts but doesn’t provide you with the complete picture. DNA: Omerta is worth a dekko if you like terror sagas. Interspersing news footage — from the ’90s until the recent Mumbai 26/11 attacks — with a glamourised version of Omar’s life, it does manage to provide an overview of a contemporary terror hero. The likes of him literally have world-safety hanging perilously by a thread. You may as well know his face! Bollywood Life: Omerta is not a film for the faint-hearted. The jodi of Rajkummar Rao and Hansal Mehta has again proved that they have an hunger for brave and insightful cinema. Reuters: Mehta styles the film like a run-of-the-mill production. The acting is below par with the exception of Rao. The accents are atrocious, the dialogue is trite, and even Rao is saddled with an awkward British accent that he seems to forget in some scenes and remembers with a vengeance in others. ‘Omerta’ goes for effect rather than depth by focusing on Omar’s modus operandi rather than his intentions and ideologies. Even as a thriller, it is tepid, never upping the ante. Rajkummar Rao, one of the best actors in the Hindi film industry, puts in a staccato performance. Even he is not able to rise above the stilted script. Koimoi.com: Hansal Mehta with the help of Anuj Rakesh Dhawan’s cinematography creates an inky atmosphere in order to narrate the story in a kind of way he wanted. There are enough thrills to keep you on the edge of your seat. Hansal takes a step ahead in the terms of direction as this movie is a perfect fodder for the international thrillers loving audience. The movie majorly is in English, hence Mehta was dead sure about the audience he wants to target. Omerta has enough elements to keep you glued to your seats. Rajkummar Rao is outstanding and yet again nails another character coming out of a Hansal Mehta film. Times Now: Riding on the recommendations of Rajkummar Rao-Hansal Mehta’s film is worth a watch, Omerta, their fourth film together, is solid enough to please its regular audience, but also too plain and inflexible to capture any new territory.The story of terror, unless reassessed with a heart, shall always remain just that.